According to the Urban Transport Management No.2, the Department of Transportation of Ho Chi Minh City, this unit is carrying out procedures to adjust the investment project to build My Thuy traffic circle phase 2nd in District 2 to complete the traffic junction in this area. More specifically, the second phase consists of building a 316m-long second overpass on Vanh Dai 2 road with 4 lanes, building a 75m-long Ky Ha 3 bridge for 4 lanes, building a 725m-long left turn overpass from Cat Lai to Phu My bridge for 2 lanes, building 75m-long Ky Ha 4 bridge on the right turn from Phu My bridge to Cat Lai for 4 lanes. 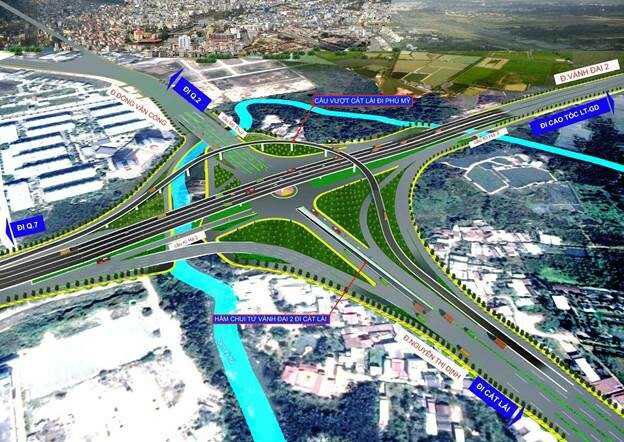 The total investment cost of My Thuy traffic junction project second phase is VND 1.150 billion, which is expected to start construction at the start of the first quarter of 2019. The project Implementation is expected to finish in 2020. According to Urban Transport Management No.2, after completing all 2nd phase’s categories, the traffic jam in this area is going to be visibly decreased. 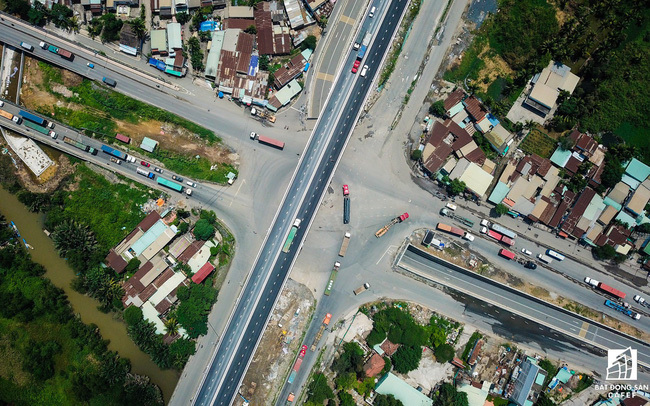 At the present time, these following categories of the construction of My Thuy traffic junction 1st phase have been finished: the construction of Ky Ha 3 bridge, the contrusction of left-turn underground tunnel from Vanh Dai 2 Road to Cat Lai and the overpass on Vanh Dai Road 2. The project has been contributing to decreasing traffic jam on many roads leading into and out of Cat Lai port and the roads surrouding Cat Lai port such as Nguyen Thi Dinh, Dong Van Cong and Vo Chi Cong.